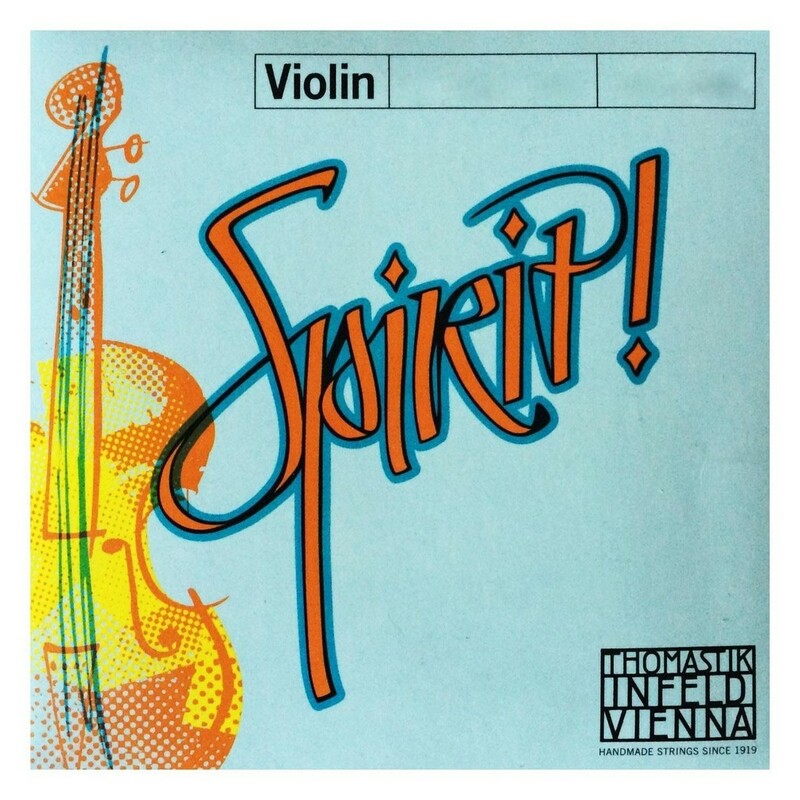 The Thomastik Spirit 4/4 Violin D String is capable of producing unique tones for all music styles. The SP03 features a synthetic core and aluminium winding. Suitable for advancing players and avid musicians alike, the SP03 is perfect for players looking to balance out their bright-sounding instrument. This string has a warm tone perfect for the job. The 4/4 string features a medium tension gauge which offers optimum versatility. In addition to this the string has a ball end, suitable for those who require a sound that maintains its voice over time. Thomastik Spirit strings have been designed for advancing players and avid musicians alike. Capable of producing unique sounds for all music styles, the Spirit range is ideal for versatile performers. All of the strings in this range ensure an even, balanced tone during play. Spirit helps players to achieve a more balanced tone for their brighter sounding instrument, with a warm and even tone.